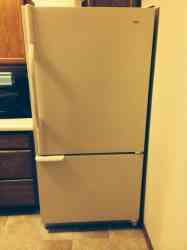 Kenmore Refrigerator for sale. $150. I believe it to be around 25.5 cu. ft. Will not deliver. The person purchasing will have to bring equipment and/or buddy to move it.